On Wednesday I appeared on ESPN’s flagship program Outside the Lines, along with current and former pro jocks Jason Richardson, Marcus Spears, and Benjamin Watson. The topic was the role of athletes in the Black Lives Matter movement, and how they can exercise their fame and platform for the greater good. Outside the Lines is really a singular show. It’s the journalistic jewel of ESPN, and I’m honored every time I’m asked to be a guest. That said, as I was sitting my chair, giving my two cents, there was something about the way the issue was framed that felt odd to me. I couldn’t articulate why until after the red light flicked off—always a terrible feeling—so I’ll make it plain now. 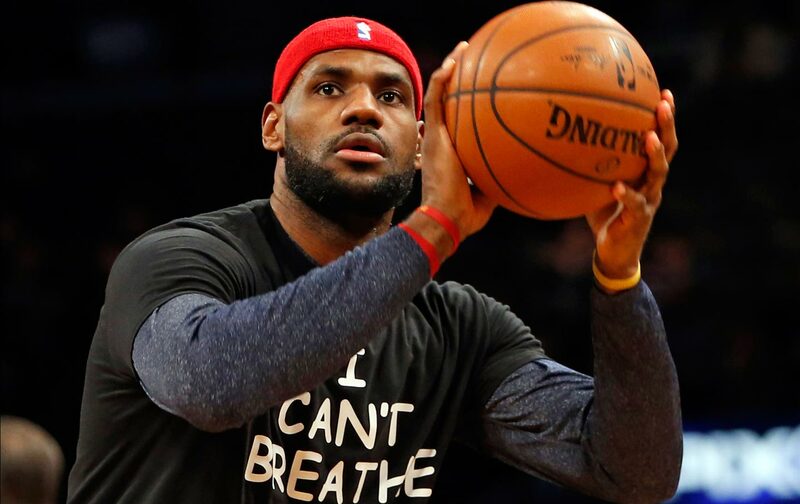 To be clear, this isn’t just about Outside the Lines, but the way this issue of athletic activism and the Black Lives Matter movement has been framed in mainstream media in the wake of the killings of Alton Sterling, Philando Castile, and the five police officers of Dallas. I had been seeing it for several days across all of cable television without really seeing it. Here is the way the issue is presented: First there is an intro about the tradition of athletes in social movements, usually featuring Muhammad Ali, Kareem Abdul-Jabbar, and Jim Brown. Then they ask the question: What role can athletes play to be that bridge, that “force for good” between the black community and police? This very formulation puts us on the wrong path before the conversation about what athletes can do even begins. It warps the proud history of athletic activism and projects a false solution to the problems in front of us. Muhammad Ali did not try to “build a bridge” between the pro-war establishment and anti-war activists. Jim Brown and Kareem did not try to bring together racists and antiracists to agree upon their mutual antipathy. They took a side. They took a side in order to win a political fight. Today, we see politicians across the landscape talking about building trust and “race relations,” as if all we need is for police and their victims to engage in some trust falls and all will be great. This is a bankrupt position that does nothing to address the fundamental problem: that police continue to be above the law, utterly unable to be prosecuted, and that 99 percent of them would rather play a certain NWA song in their cruisers than speak out against their colleagues. This is a broken system that needs to be dismantled, and taking the side of building bridges and “peace” is taking a position in defense of the status quo: a status quo that only ensures a future of more deaths, more hashtags, and more pain.